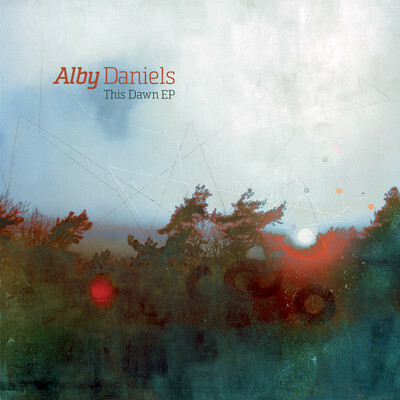 Alby Daniels is a 22 year old self taught musician and producer from London, with his debut EP 'This Dawn' showcasing his abilities in the electronic music genre. ‘This Dawn’, the opening title track on the EP contains RnB vocals integrated into an electronic groove, known as blurbstep to some, see James Blake et al. 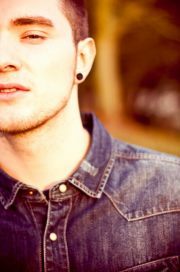 But as insulting as this genre may sound, Alby Daniels is in good company and it is a genre that has helped bring many other areas of dubstep and electro into the mainstream. The track is filled with echoes, loops and fades that keep your ears interested in this mellow sound. However, this track is not quite at the crest of the electro wave and is not breaking any boundaries with a sound which is a couple of years past its use by date. ‘Her About Something’ is the second track on the EP, which brings perfect tempo to match the cool backing vocals, and despite nothing really coming to the fore, it actually doesn’t need to. This is a track which grabs your attention for being subtle and pretentious in its style and delivery. Without a doubt the standout track on the EP. ‘Voodoo Holiday’ is the third offering on the EP which has smooth beats containing nonchalant pulses and tones. The dreary and wistful vocals contained in this track would be at home on a chillout anthems compilation (I imagine), but compliment the ‘Voodoo Holiday’ bass notes just as well. Overall this is an EP I would recommend to friends to check out, but I am looking forward to seeing what else Alby Daniels has up his sleeve and believe this EP is an example that shows he has the potential talent to deliver.